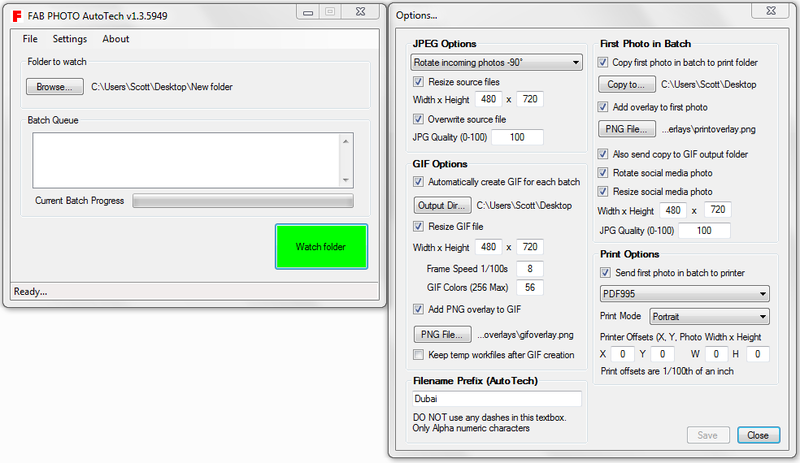 Auto Print Screen is a tiny DPI aware system tray application that outputs an image from your screen using only the PrintScreen key (also with modifiers listed below). Yes Windows 8+ already has part of this functionality (Win+PrintScreen), but you can't choose where to save the image, it's output format, naming structure and you can't retrieve just the currently active window or focused display and save the clipboard to image in one single step. Auto Print Screen lets you automatically save screen shots from the currently focused display (based on mouse pointer), all displays or just the currently active window in a single step. I'm sure an app just like this already exists out there on the interwebs, but finding it and trusting it not to mine bitcoin in the background was enough to deter me to build my own. Hopefully you find it useful as well. 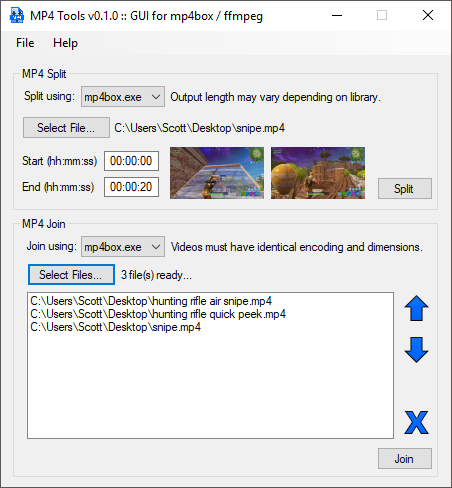 MP4 Tools is a C# GUI built around GPAC's mp4box.exe and FFmpeg’s ffmpeg.exe that is capable of splitting and joining mp4 files. I wanted a simple GUI app for splitting and joining my OBS Studio, AMD ReLive or nVidia ShadowPlay recordings without needing to re-encode or mess with all the advanced features most other apps provided. I also wanted to be able to use mp4box.exe and ffmpeg.exe within the same app interchangeably whereas before, I had to use 3 or 4 separate apps to do these simple tasks. Its task is simple: split large mp4 videos between two time points, and join videos into a single mp4 video. It does it fast and without monkeying with any additional encoding. 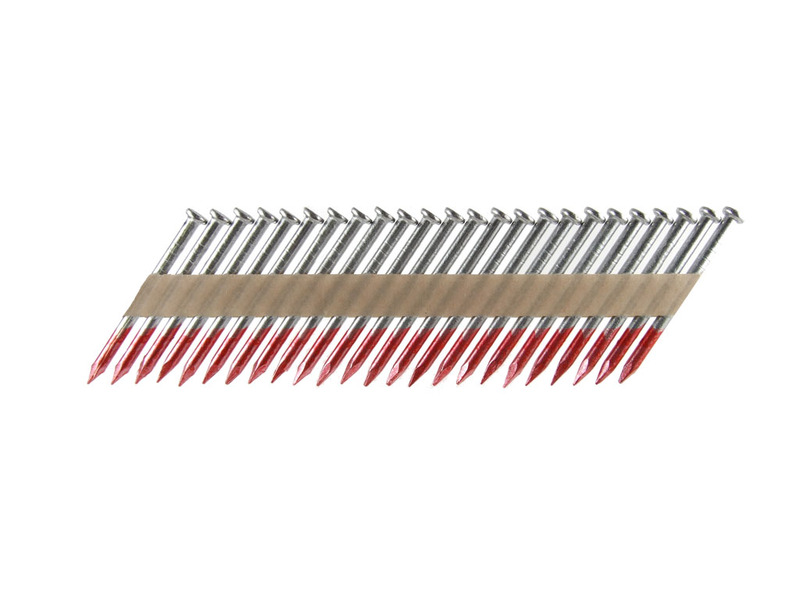 Features enlargeable preview frames of selected points and a clean, easy to understand GUI. AutoTech is an application that automates the whole process of creating, printing and social media sharing an animated GIF image for clients that request the 360° Photo Booth for their events. The photographer sets up 24+ cameras in a ring with a participant in the center. With the participant striking a pose, a photo is taken from all 24+ cameras at the same time resulting in a "Bullet Time" like animated GIF that they can share on social media, print on site or send to their clients for sharing. 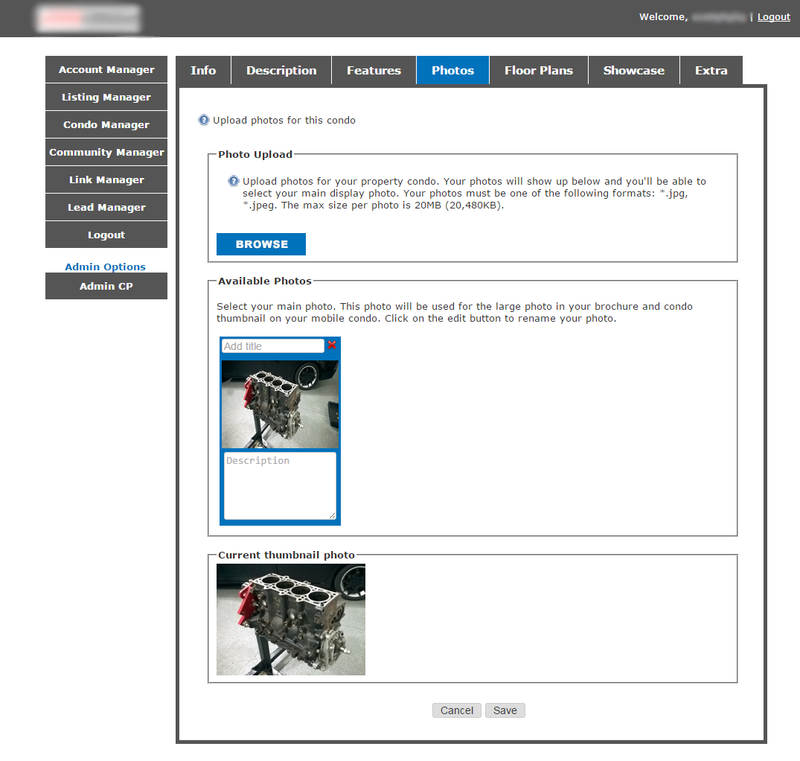 With each camera ring fire, a group of photos is sent to a folder that AutoTech is setup to monitor. 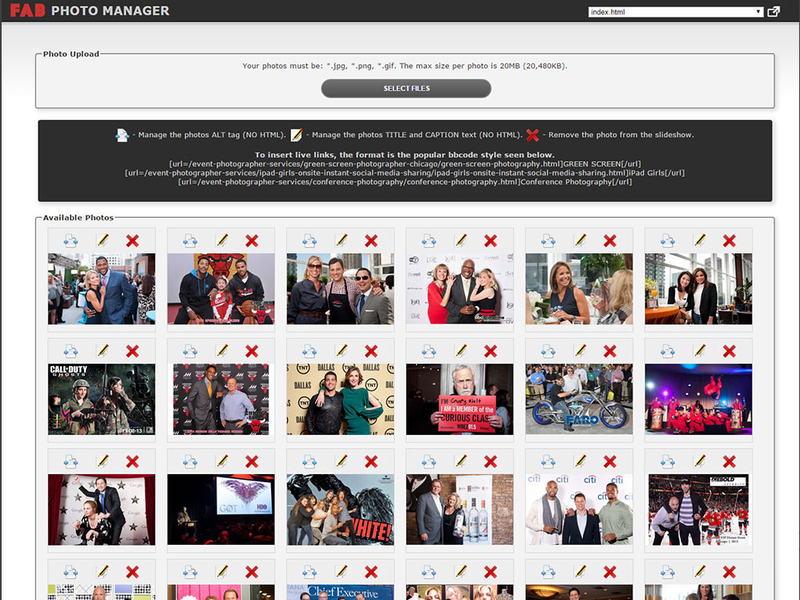 When it detects the proper photos, it groups them into individual batches for processing in the background. 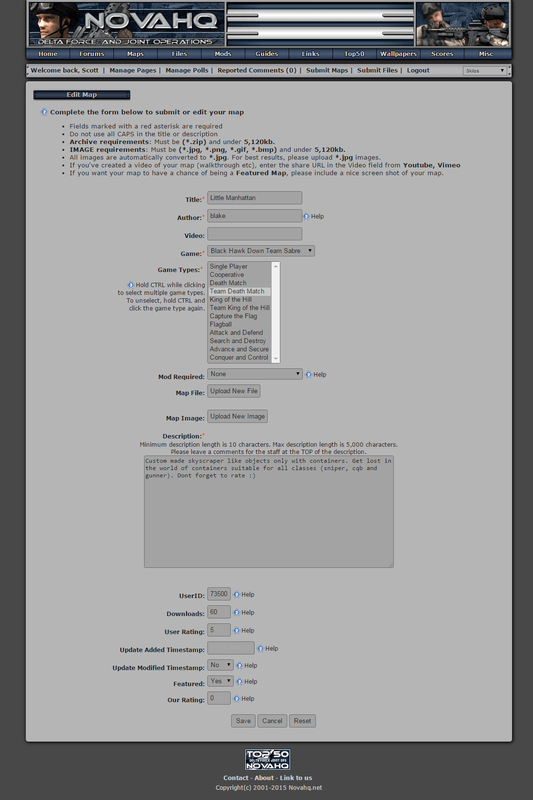 It can resize, rotate, add overlays and many other things to each batch (see photo to the right). This whole process is automated allowing the photographer to spend more time attending to the booth and less time at the workstation in Photoshop. When a guest has visited the offices of Engle & Volkers and spoken with an agent, they are asked to fill out the guest registration form so that the agent can easily keep track of the potential client's interests. The app sends an email to the guest and agent, and also integrates with Top Producer so that the agent has a single place to manage all his or her potential clients. EVO Host and Client tool is an application that sends packets to a host computer to verify client files and other information when a client tires to join a remote server. 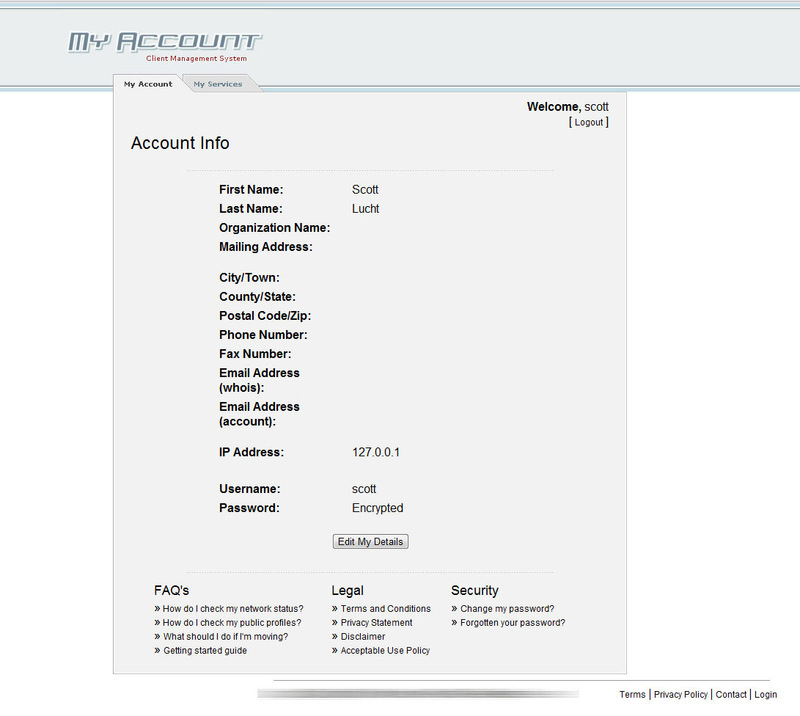 The application has a fully custom server/client system that accepts encrypted commands from a connected client. Written entirely in C# .NET 2.0, and at under 100kb for the server and 20kb for the client, it's super fast and efficient. The client also uses DLL redirection so that the client application is loaded when the client loads the parent application, allowing seamless communication without any input from the client. Gifit! 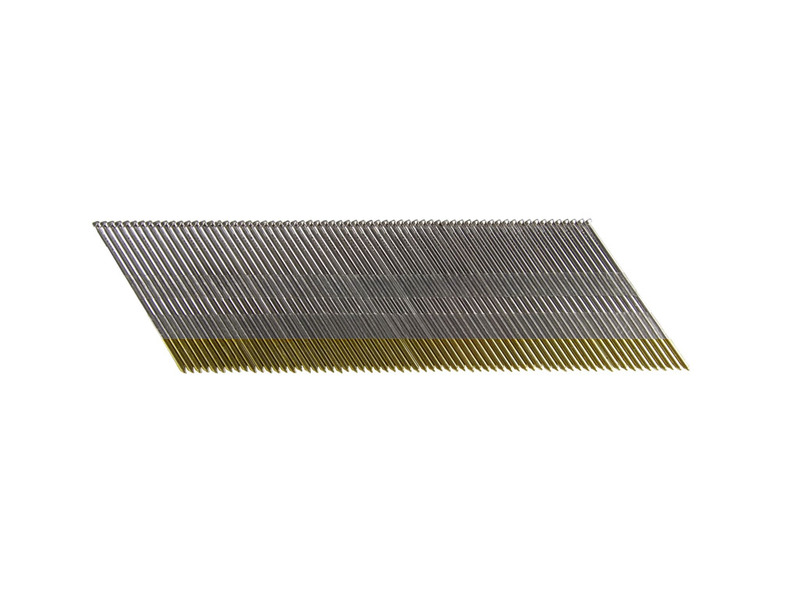 is an application that takes a group of JPEG images, overlays a transparent PNG file to all the images, then creates one "Bullet Time" like GIF to upload to social media. The program is super fast and user friendly. 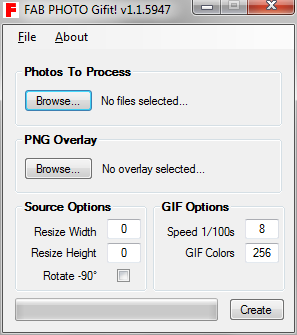 To create a GIF, just select your source files, select your overlay (optional) and click Create. A GIF will be created in seconds. 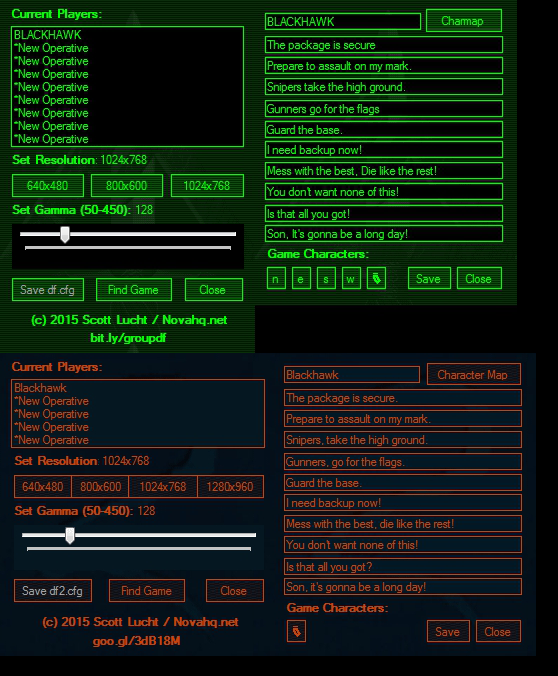 This player editor reads and writes information from a binary games save and config file which allows players more control over how their player is displayed in game. It also allows the user to set resolutions and other settings that are only available by making modifications to certain game files. Host Tool is an application developed in C# (using .NET 2.0 for Windows Server 2000 compatibility) that allows game server hosts for a video game to manage their servers live while the game is in session. 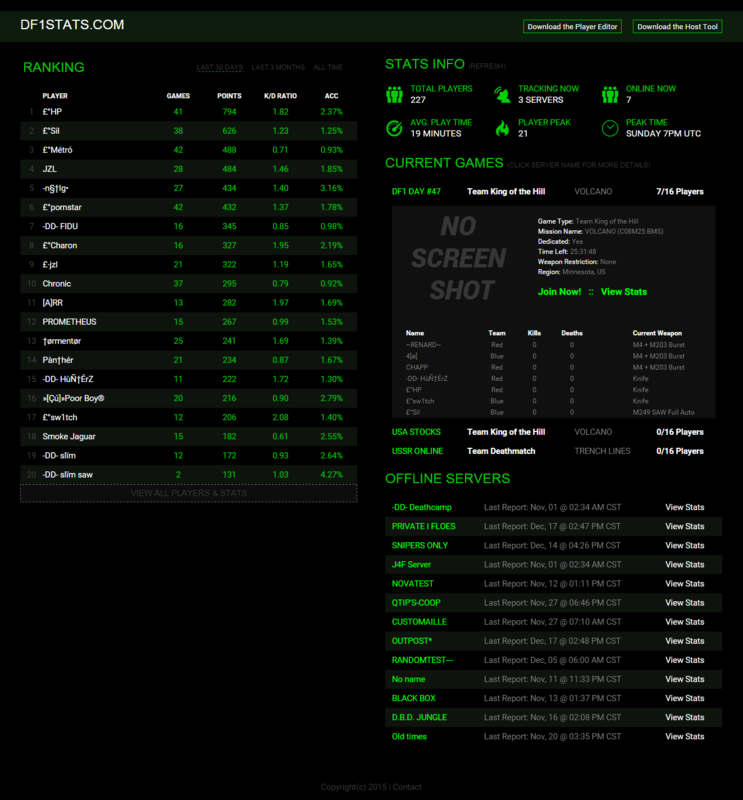 The tool attaches to the games live session so it can track and upload player stats, report to a custom lobby system, update/disable mission rotations, change game types, log player actions and sessions, restrict player settings and also has a command & control like server/client system. The program will allow authorized clients the ability to run admin approved commands while the server admin is away from the computer. DF1 Stats is website that tracks players stats for the game Delta Force 1 from NovaLogic. 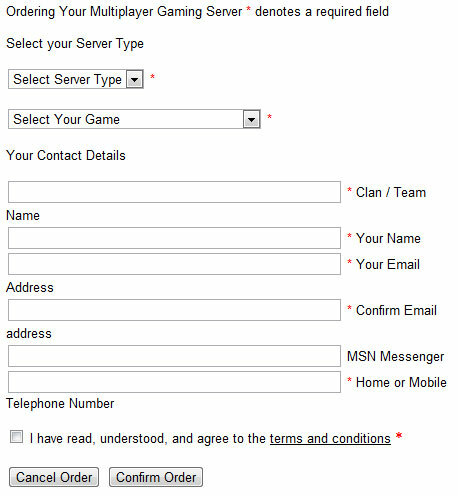 Server hosts that would like to have their servers tracked use a hosting tool developed by phphq.Net Customs (written in C#) to track and upload stats to a database which processes the individual game and updates each player statistics. 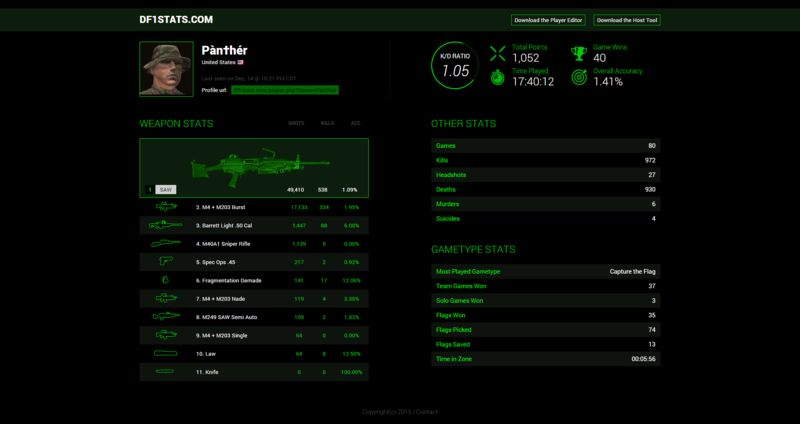 It also has a custom lobby system that allows users to view who is currently playing in game and their individual stats before joining the game from the custom lobby. More info on the host tool is posted above. 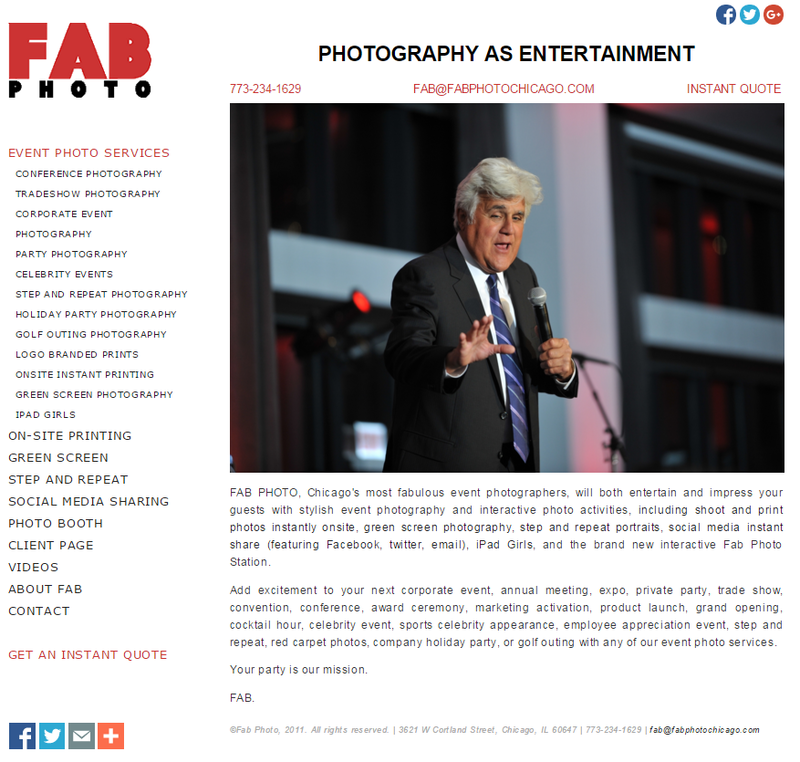 FAB Photo Chicago is a photography company that specializes in event photography. 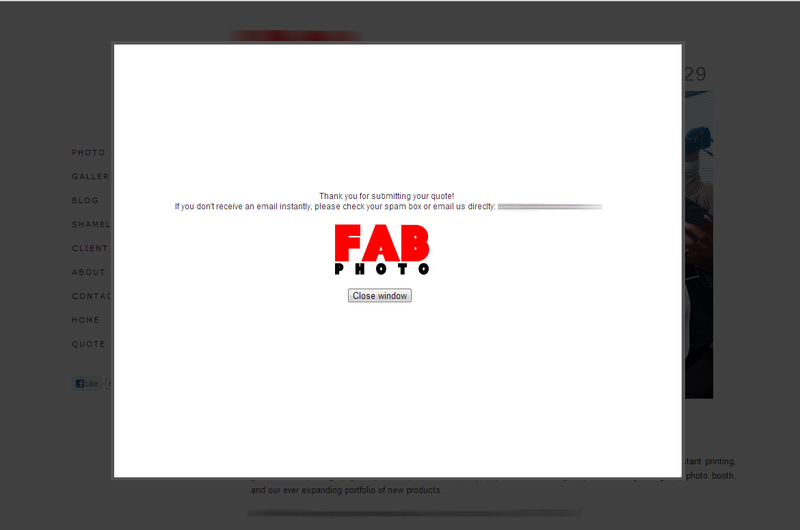 FAB wanted an easy to update and maintain website without using a database or 3rd party CMS. 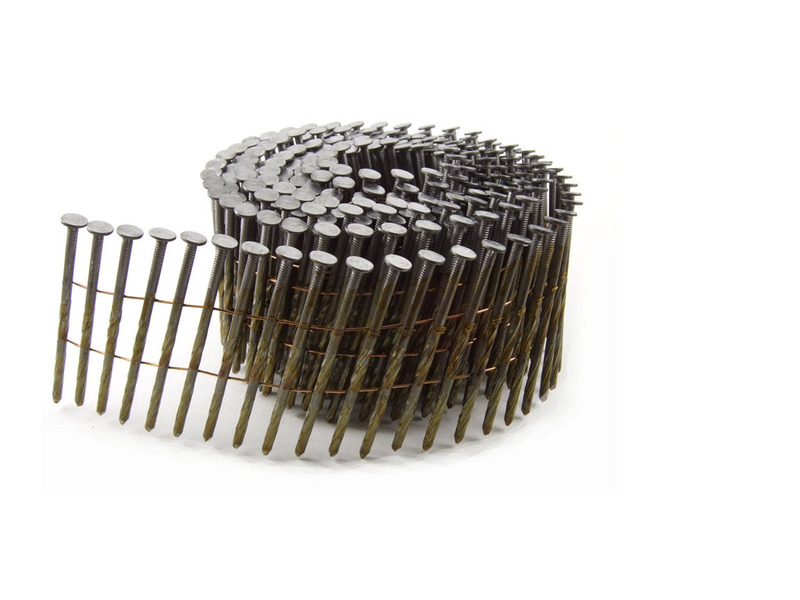 The site was developed using a comprehensive SSI system that allows for easy maintenance and global updates of the site with knowing only basic HTML. The site is highly SEO optimized with high page rankings to help potential clients find them in a highly competitive market. You can view my other projects for FAB Photo below. 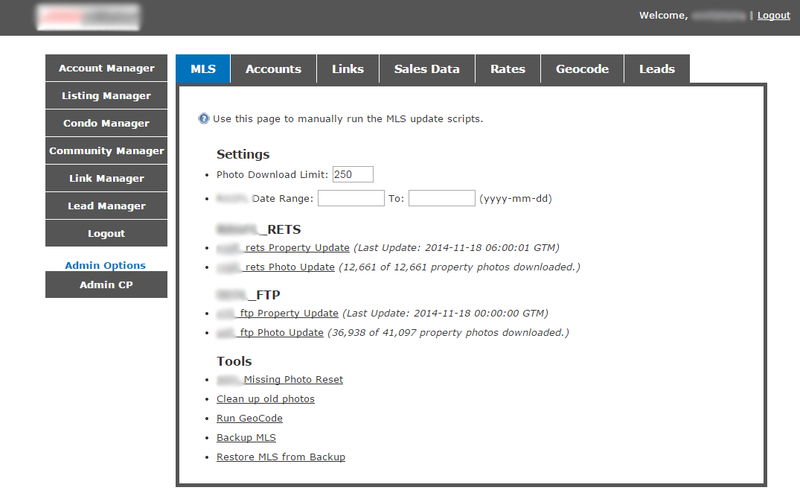 FAB Photo Manager is a custom photo manager application that modifies a pages HTML source code directly (like a live CMS) to manage photos in a custom jQuery slideshow (also developed by phphq.Net Customs). The program uses no database and loads the photos by searching and loading all images inside a special DIV specified by the user. Once the images are loaded in the application, the client can add / order / add seo / remove images from the slideshow without having to know any HTML or load any FTP client. 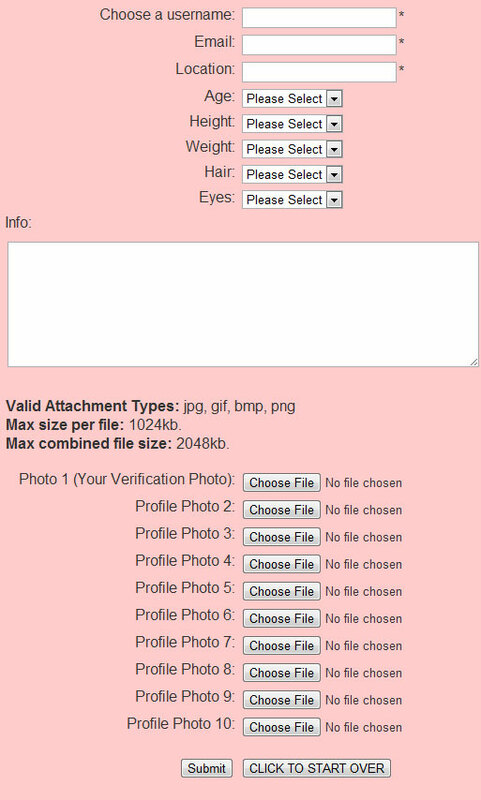 The application also reads any available meta-data from the uploaded image and automatically generates the alt and title tags. 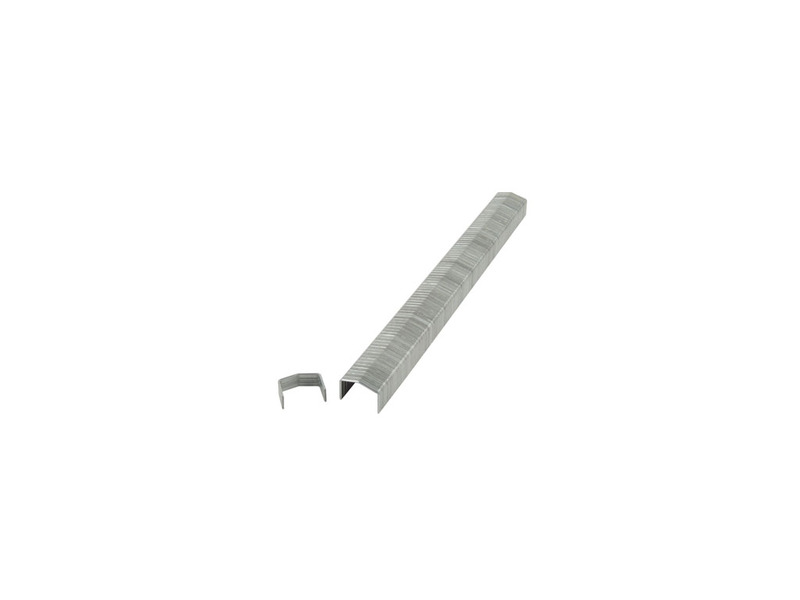 The user can then modify those tags further within the app. 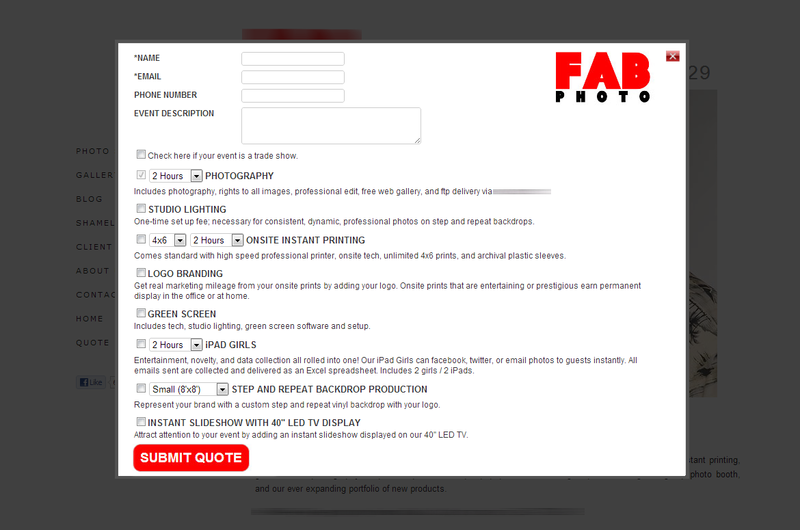 FAB Photo Chicago required a custom form that allowed their potential clients to receive an instant quote via email, along with a PDF attachment of all services offered by FAB Photo Chicago. 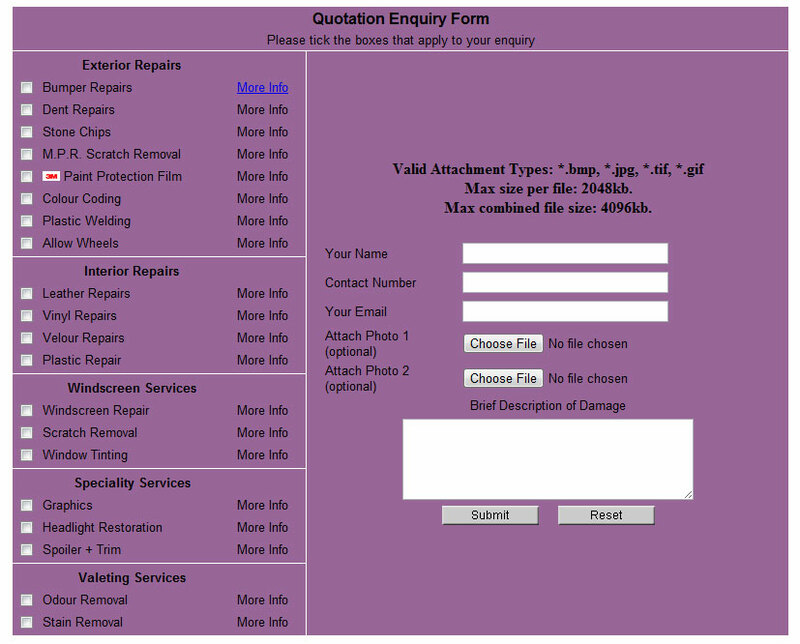 Potential clients would fill out and submit the form, and then received an email with a custom quote based on their input. 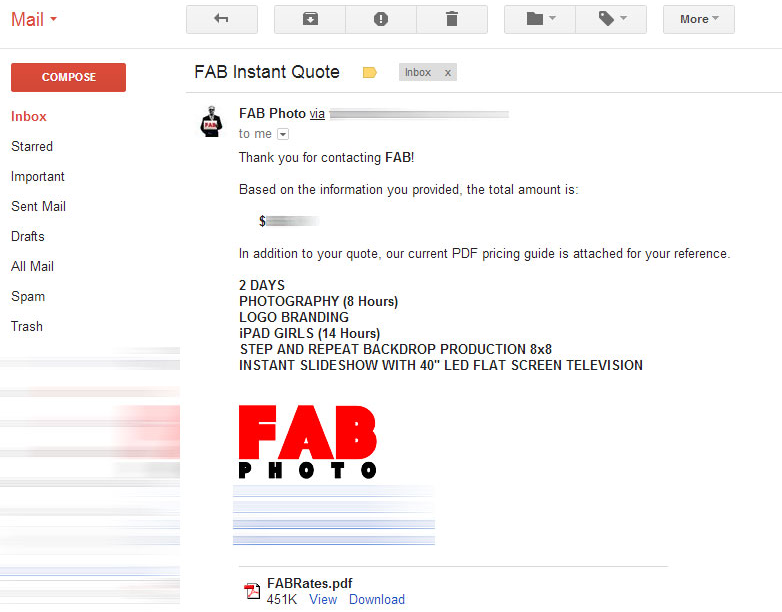 Along with the custom quote, a PDF is attached to the email that outlines all current pricing. 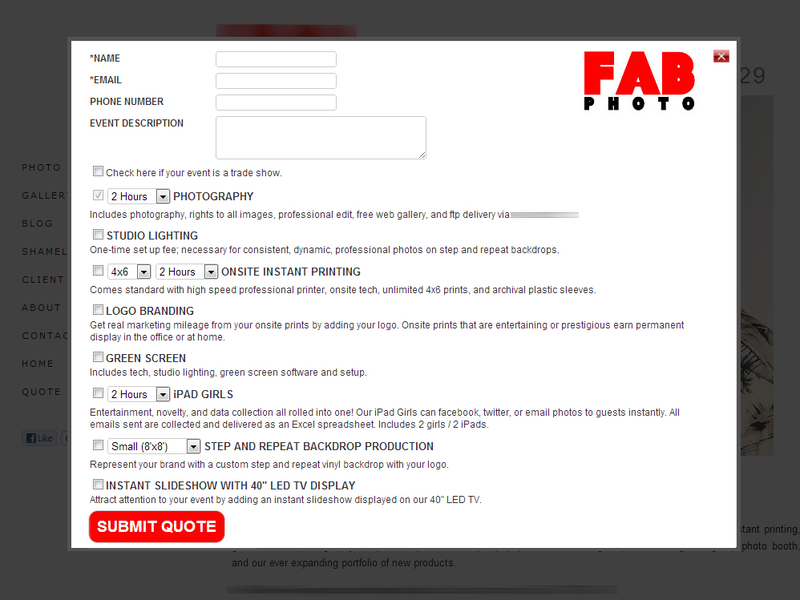 FAB Photo Chicago also received a lead email that allows them to follow up with the potential clients. 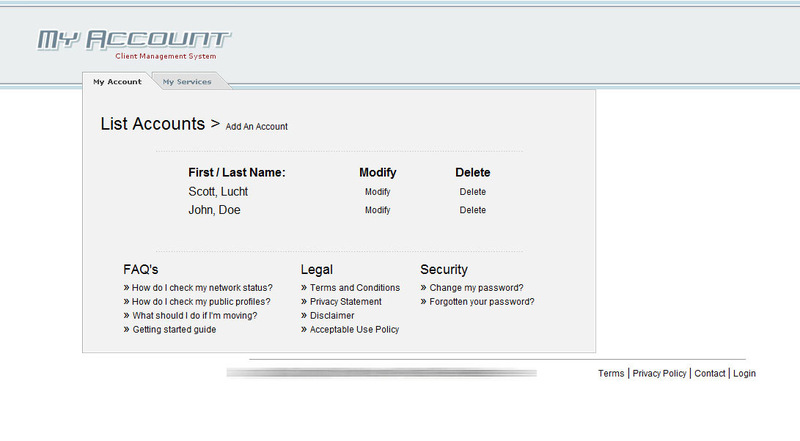 The inMotion control panel is a complete real-estate control panel for brokers and agents. It acquires and maintains over 100,000 property listings from the official Ft. Lauderdale, Palm Beach and South Florida RETS servers so authorized agents and brokers can display property listings on their websites. Once property data is acquired and merged into the database, agents are able to customize their own listings to add more specialized details about properties (such are higher quality photos, video tours, brochures and demos). 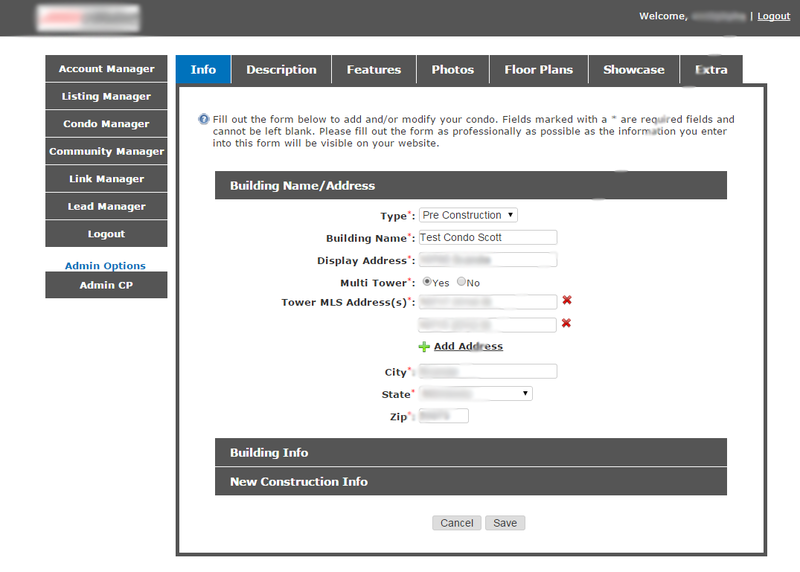 The control panel is a central location where agents can manage many additional aspects of their site such as contact forms, information requests, leads, photos, slideshows etc. The control panel allows agents to automatically create PDF brochures with scannable QR codes to embed in their website or email direct to clients requesting more info. 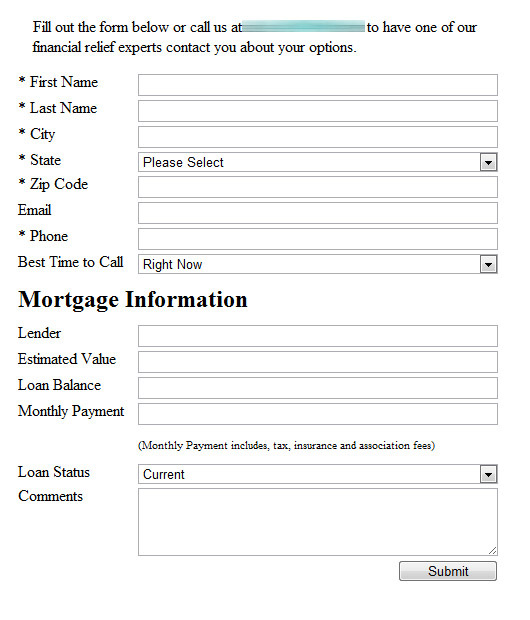 All data from the control panel is fed to the agent’s website via API which allows for complete control over the website from one single location. It integrates with Google Maps v3 to show enhanced property information such as satellite view, places of interest nearby, directions etc. which is all done automatically for each individual property. 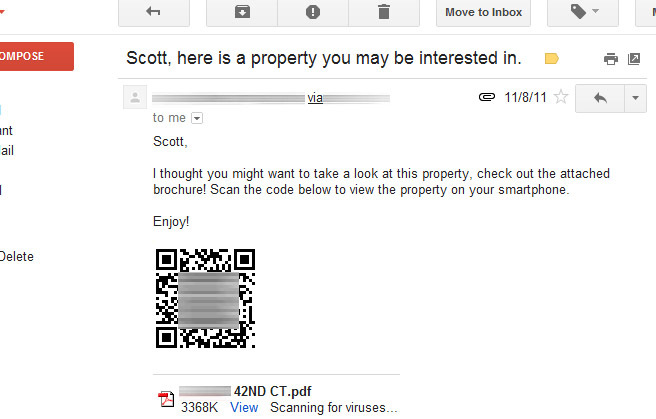 Users can sign up at the agent’s website to save correspondence, properties and search results. The agent can view all this information from the lead manager in the control panel. Agents are able to export sales data from their MLS board which they can then import into the control panel to display graphical charts of sales in their area. Often times a client requires customizations for my free scripts. 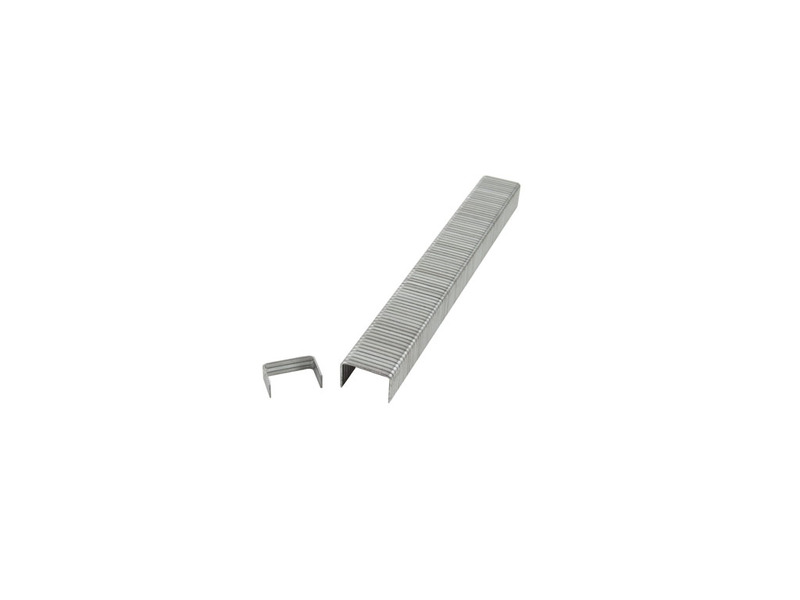 This generally includes additional fields or additional functionality. Below are some samples of work I've done in the past to customize my scripts for clients. Please note, I often have no control over the style of the form. More often than not, I work from styles provided from clients. 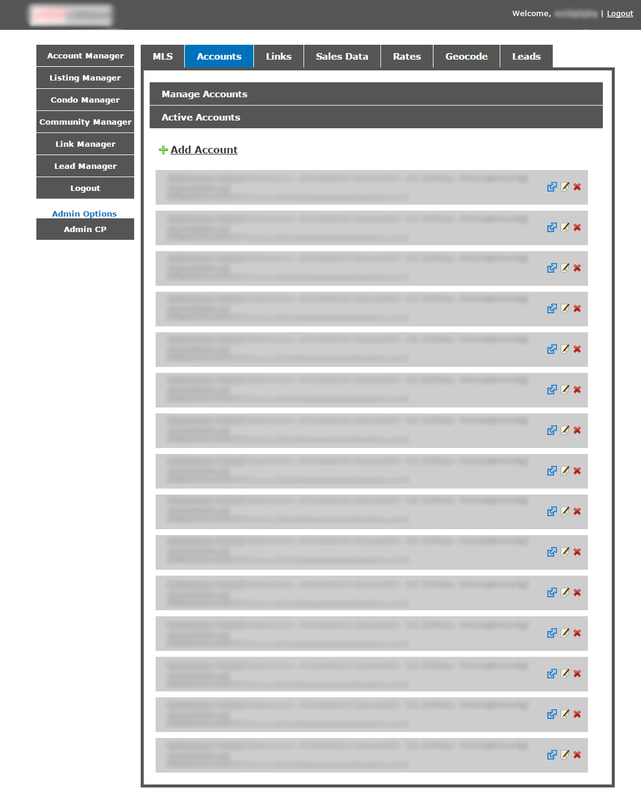 The client wanted a custom database to store client information for their web hosting company. 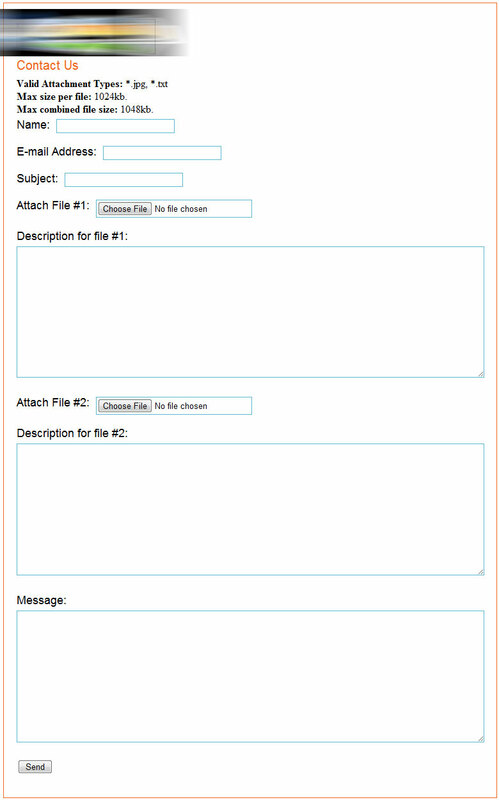 This client wanted a form that would allow them to create a new document review job, then automatically send a notification to their client that a job was waiting for approval.The client was then directed to a page that showed them a sample review document, and allowed them to either approve the document as is, or make corrections. An email with either an approval or a list of corrections is then sent to the agency that creates the documents to make the corrections or finalize the document. 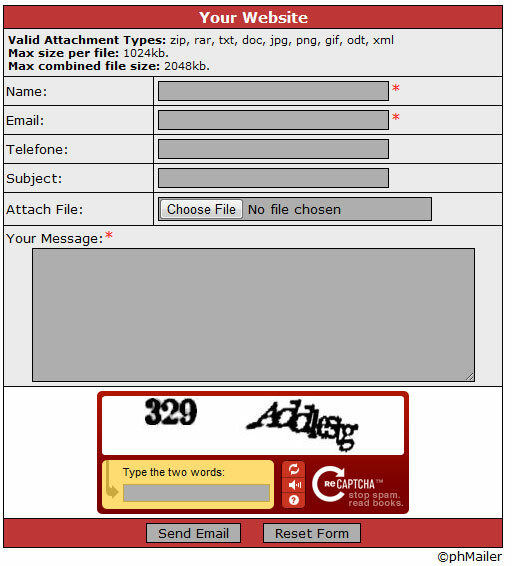 A final copy of the approved document is automatically send to the agency and client if the document is approved. 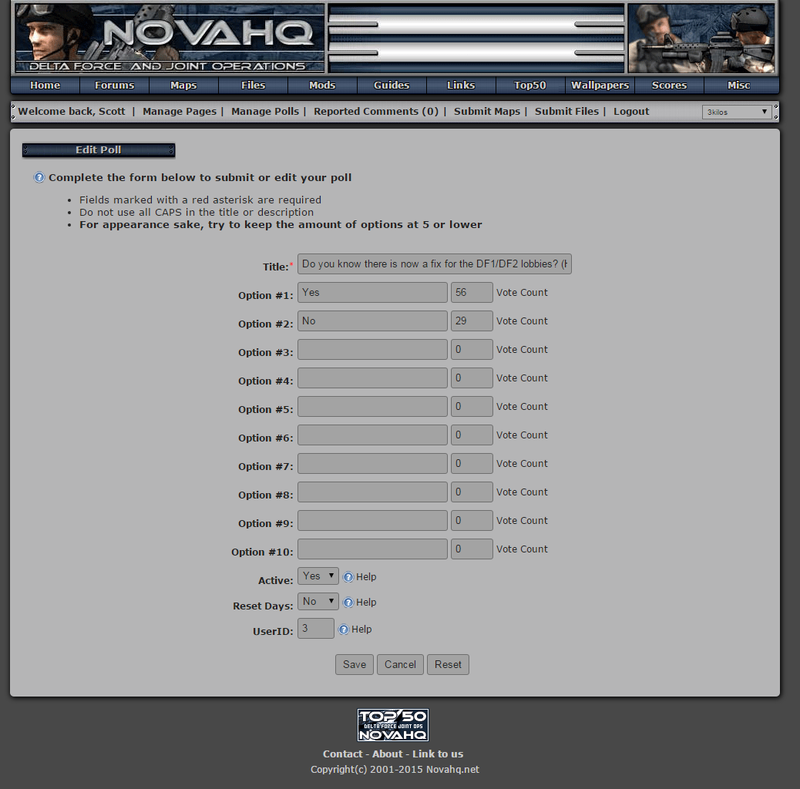 Novahq.net is an officially recognized fan site for NovaLogic FPS games. 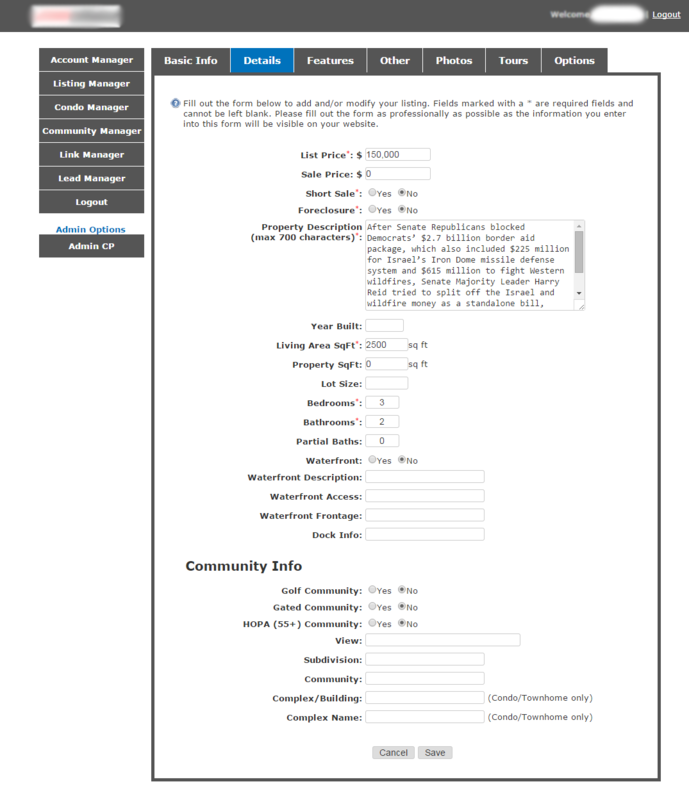 It hosts thousands of missions, files and plenty of other member created content. Nearly all content on the site is submitted by members where it awaits approval from the sites moderators using an “on page” live CMS system. 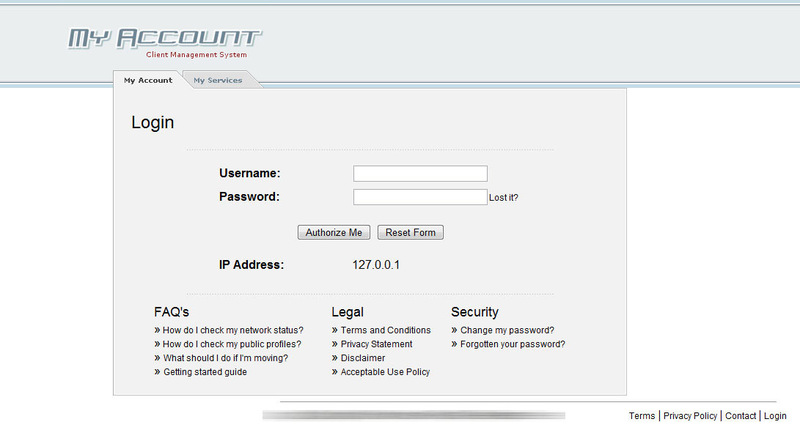 The site uses and extensive permissions system which grants certain users and moderators abilities on certain sections of the site. 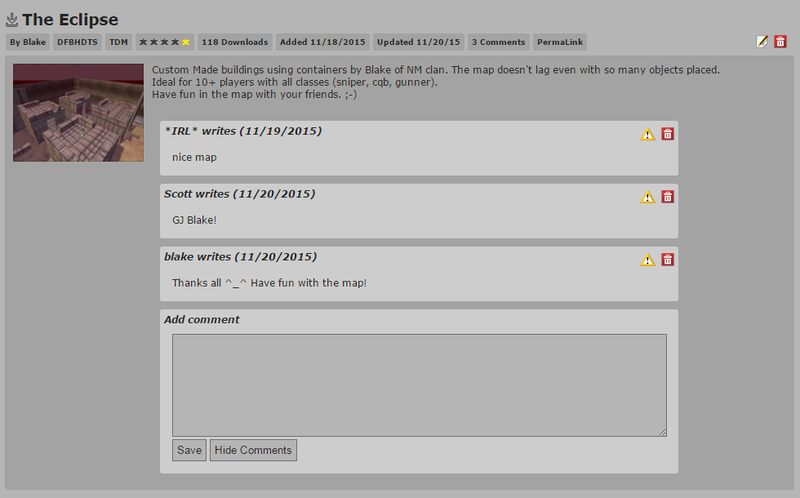 The site is highly integrated into the vBulletin 3.8 forum system for administration and moderation. All of this integration is custom, no 3rd party software was used. The site features user selectable styles which allow the sites look to be customized to the users preference using a CSS only based system. 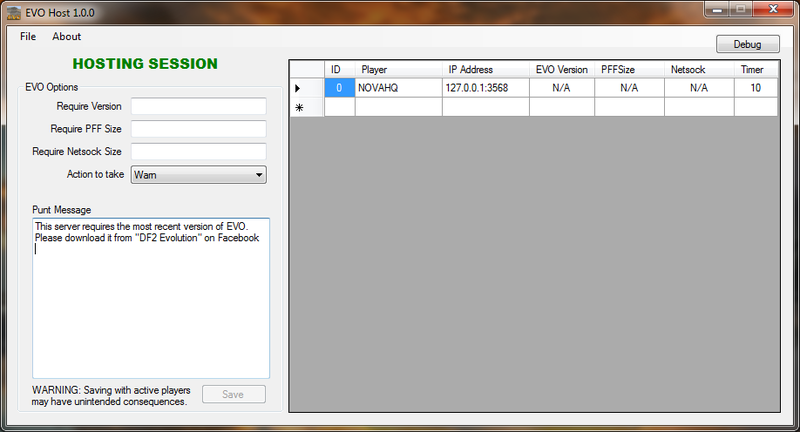 Novahq.net also features a custom Top50, a fan site ranking list that integrates with the rest of the website. The Top50 was built to rank the best team and fan sites for NovaLogic games. It was also used to advertise for Novahq.net since our button was placed on hundreds of squad and fan sites giving us a lot of exposure. The Top50 lists and ranks the largest and most visited NovaLogic related websites via a simple image code users place on their site. Novahq.net is a joint venture between Steve (http://www.pan1c.com) and myself. Steve does most all the graphics and a lot of ideas while I do all of the backend and development work. Steve is responsible for most of the templates used on the site. 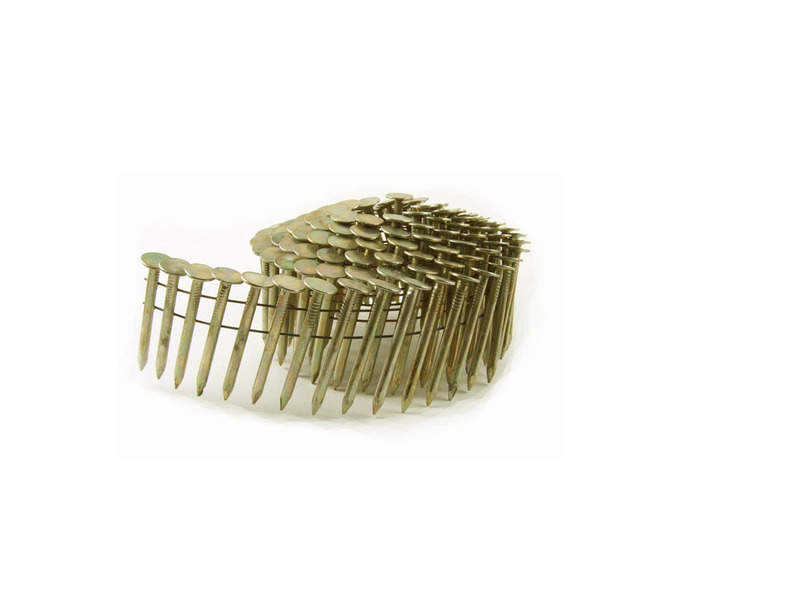 American Fastening Systems is a wholesale company located in Minnesota. 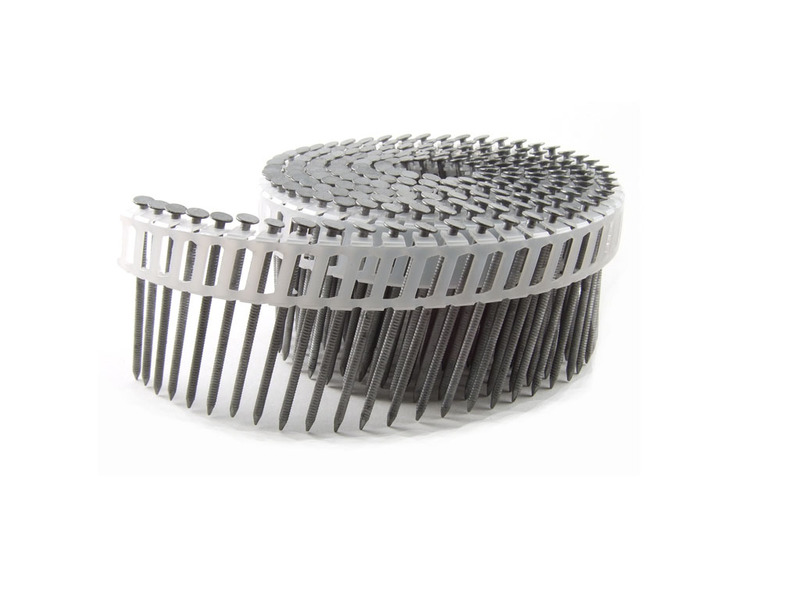 They are a fast growing company in the highly competitive collated fastener industry with their private branded B&C Eagle products. When I was first contacted by the company, they had absolutely no online presence. 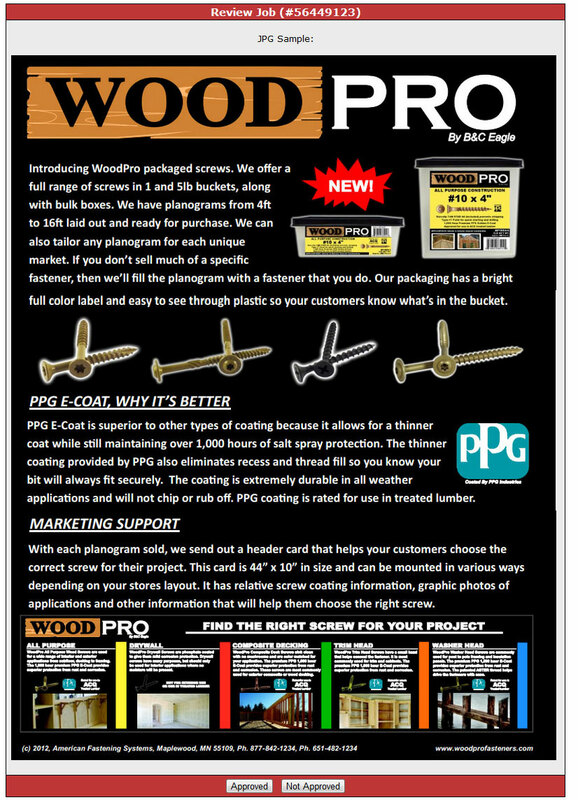 Their customers relied heavily on the informational catalog that the company updated and sent out once a year. With the amount of information increasing and room in the catalog running low, the company decided that it was time to add their wealth of information to the internet so that customers could get the most up to date information currently available. 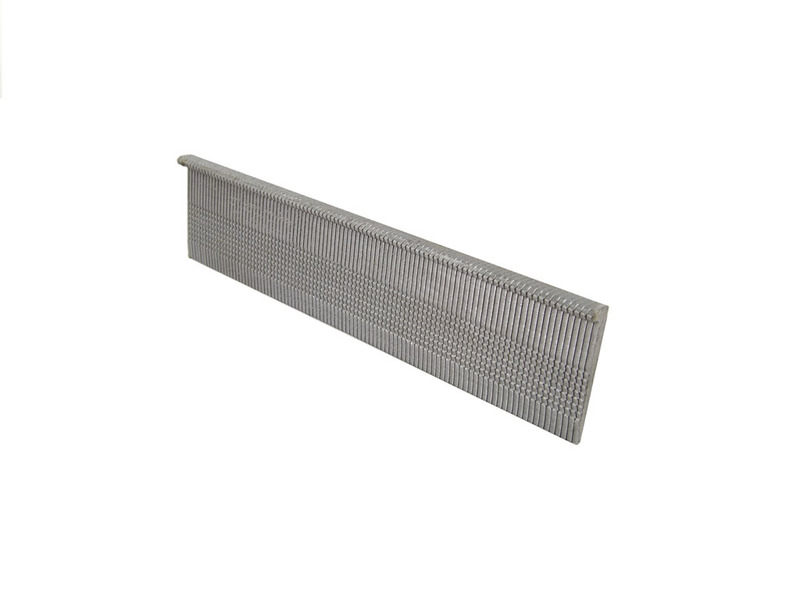 I started working for the company in July 2005 to create a dynamic website that listed information about the company and the products they carry. 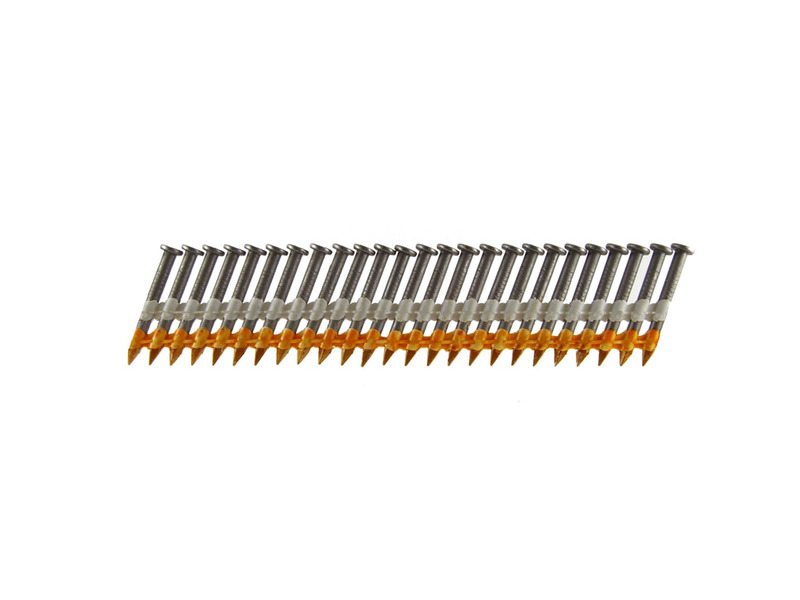 The goal of the website was to allow a customer to visit the website, select the type of pneumatic nail gun they had, and obtain a list of collated fasteners that fit that tool. 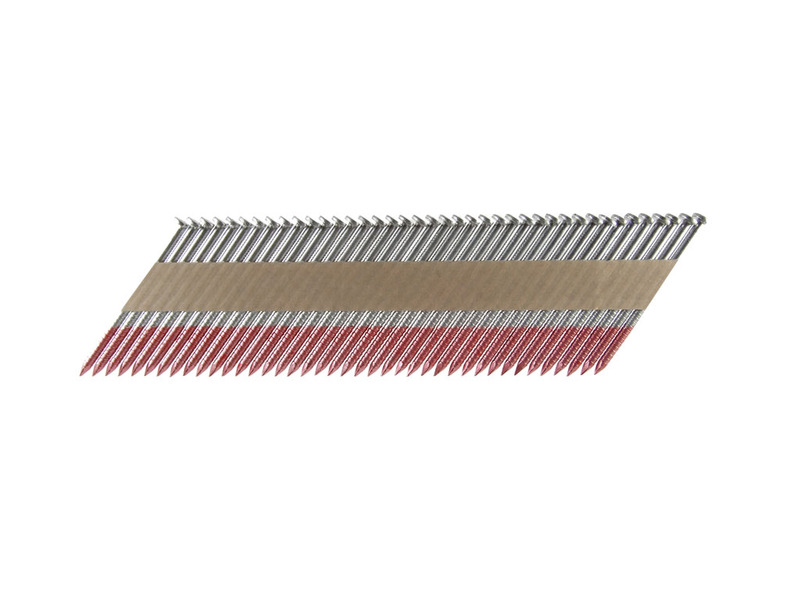 With so many tools and so many types of fasteners, this was a real hassel trying to find information in the static catalog. Most other websites were not much help either because they were always outdated, hard to understand or did not allow users to search or select products. The solution with the automated, tool selectable 'fastener selection guide' worked out extremely well and within a few weeks after the website was launched it started receiving a steady flow of hits that has steadily increased over the years. 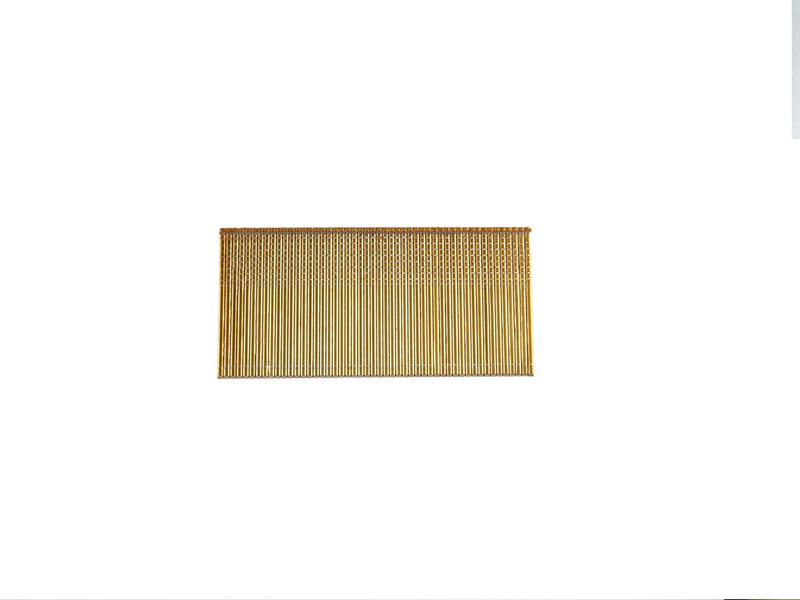 The website is now indexed in major search engines and can be found quite easily by searching for the companies products. 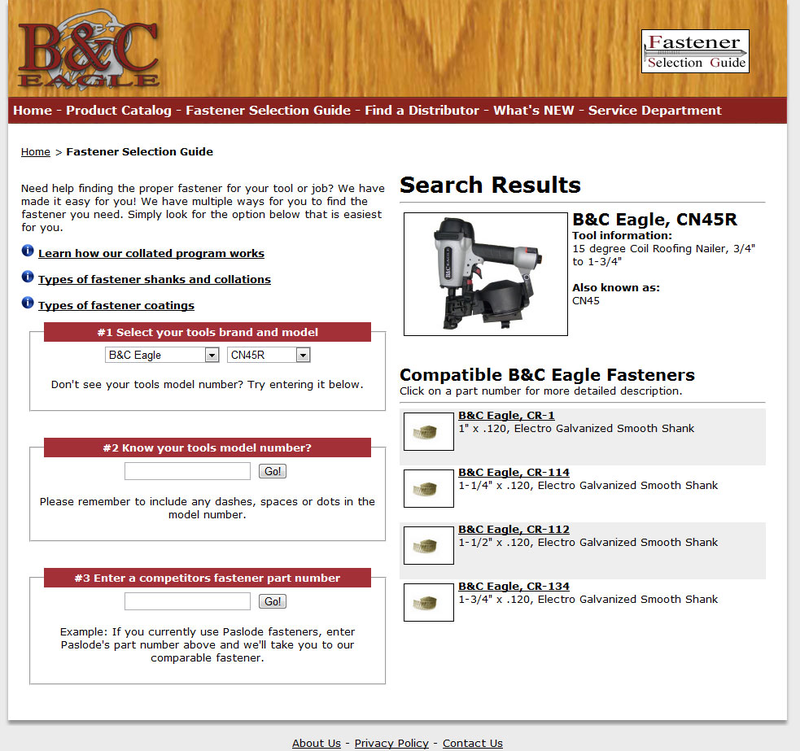 The website has helped B&C Eagles customers find the most up to date information about B&C Eagle products. The website has also helped reduce call volume from customers with general questions about products and has made it quicker for them to find the needed information to service the end user. 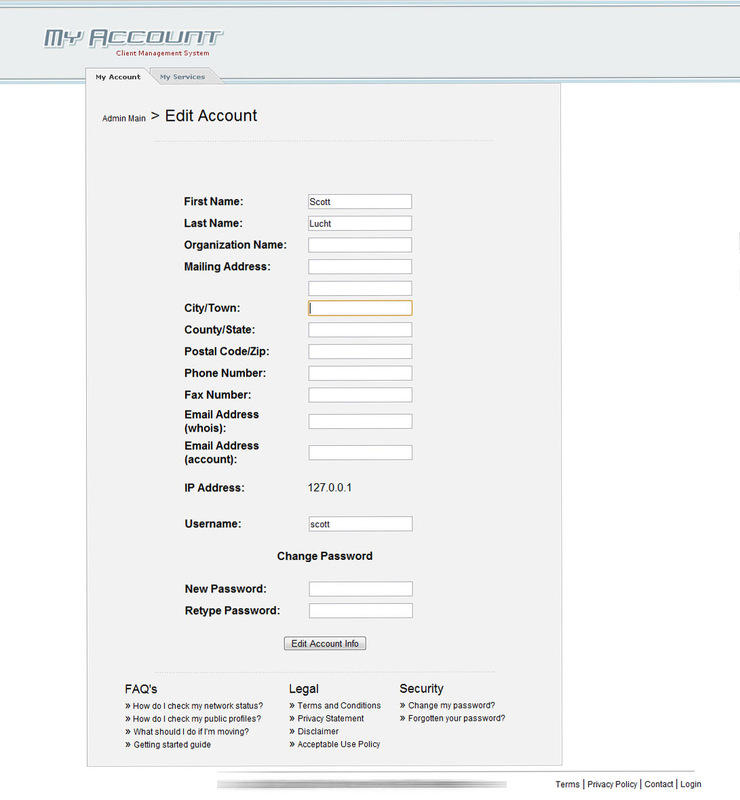 Authorized employees at the company can easily add new information when available by using a simple admin panel and forms. 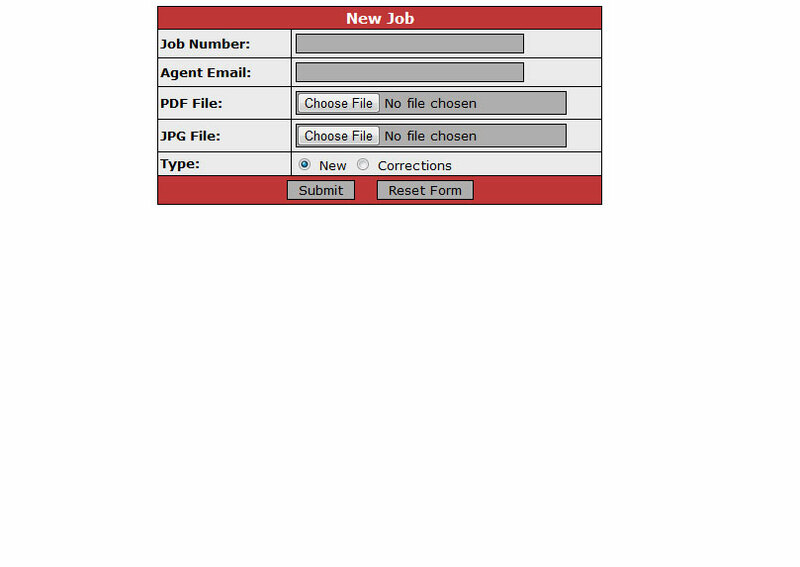 The employees can also modify any page with a custom Ajax editor that allows them to modify the page directly. 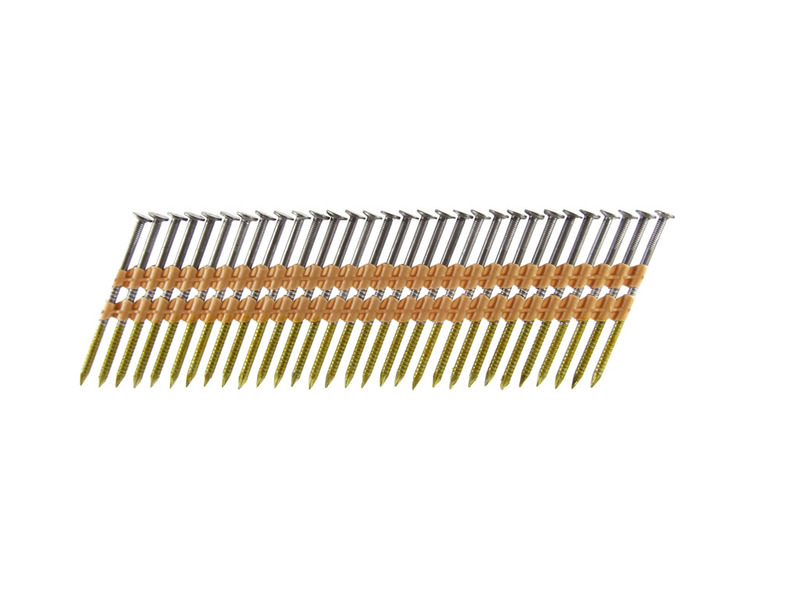 This allows them to easily correct errors or add additional information to the website quickly without much traning. 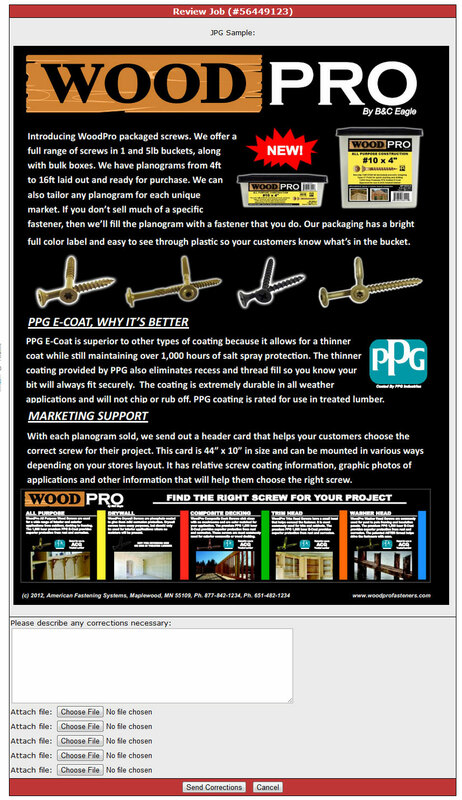 After the website was built, I also helped to overhaul and re-configure their catalog. 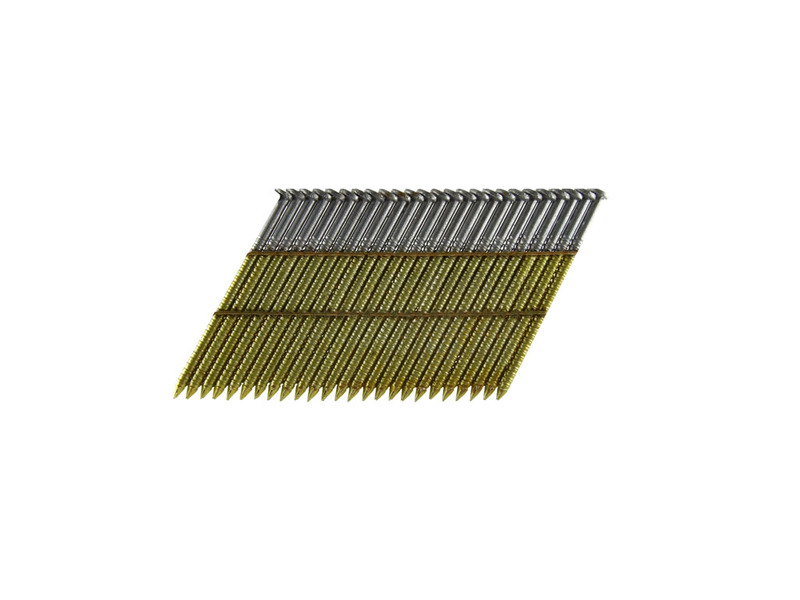 For the catalog and website I took a lot of high quality photos of current products to help customers identify the correct fasteners. 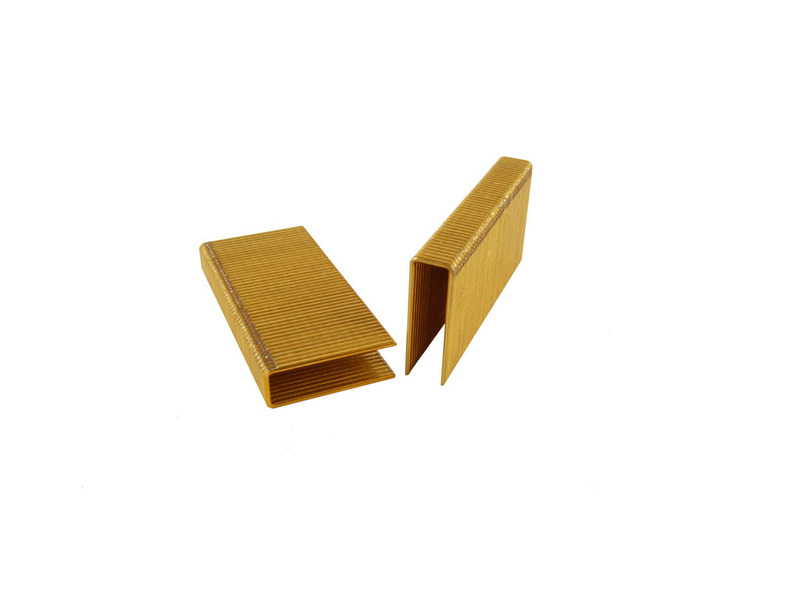 Samples of the catalog and some photos are below. The photos have all been re-touched and enhanced using Adobe Photoshop CS4.